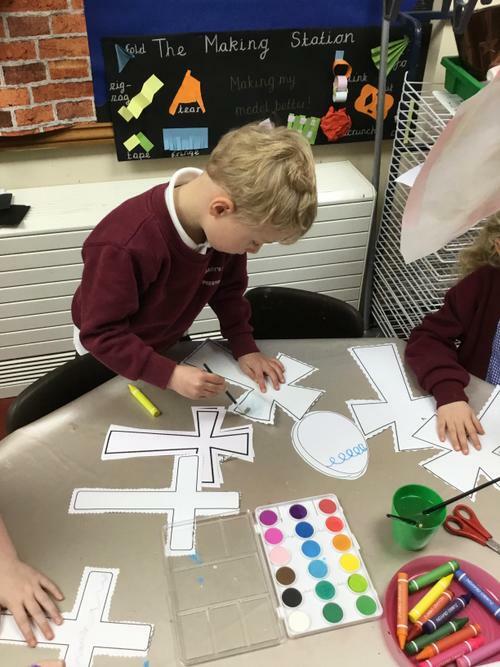 This afternoon in RE we learnt about Easter and its importance to Christian people. 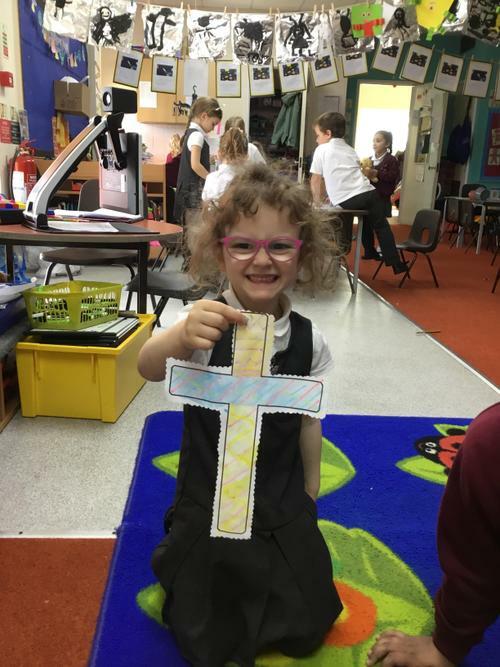 Tessa our Christian friend arrived and brought a palm cross, a heavy rock, Easter egg, chick, the word Hosanna, a donkey and a hot cross bun in her backpack. 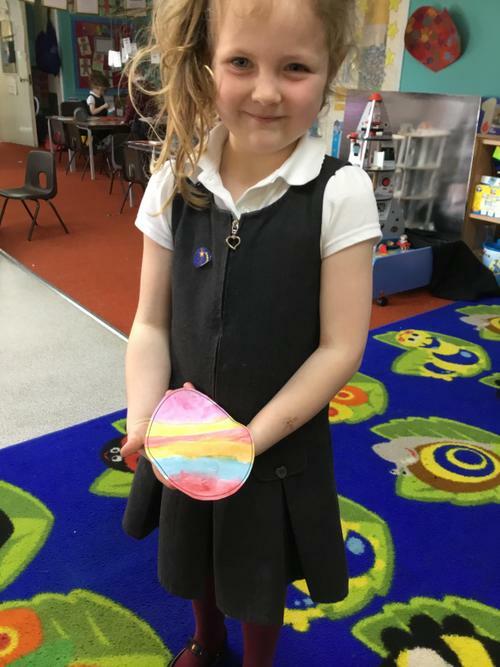 We were able to identify that she wanted us to learn about Easter. 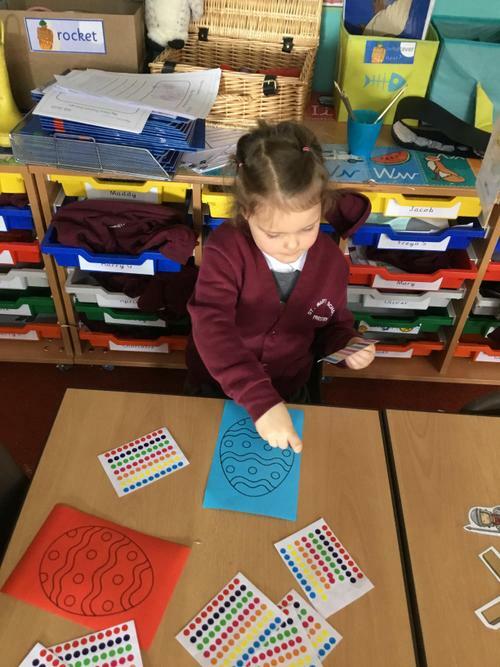 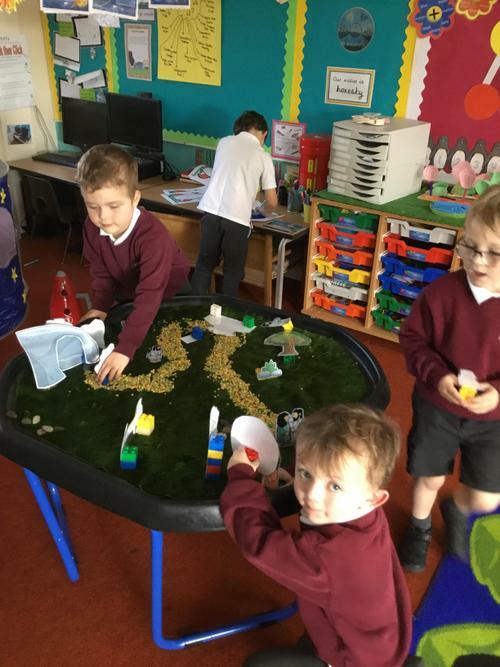 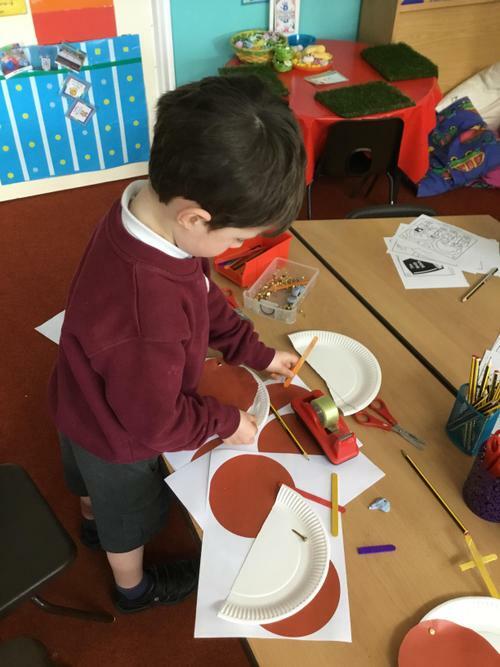 We found out that Easter is a happy festival that Christian people celebrate as, although Jesus died on the cross which was very sad, he rose from the dead. 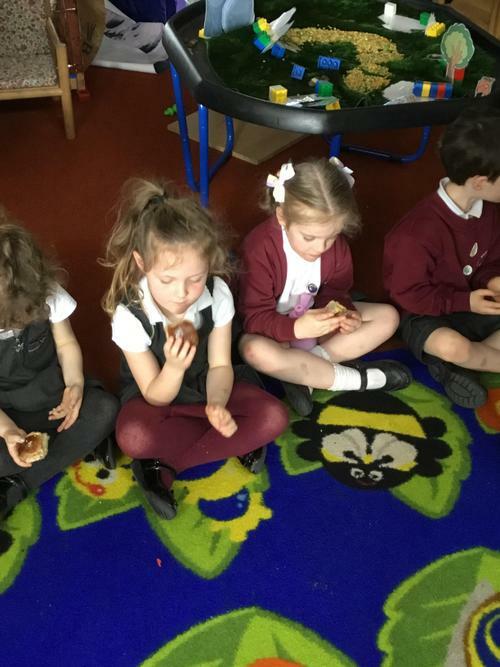 Christian people celebrate Easter by attending church services, thinking about Jesus' life, having delicious food and drink and having a small party. 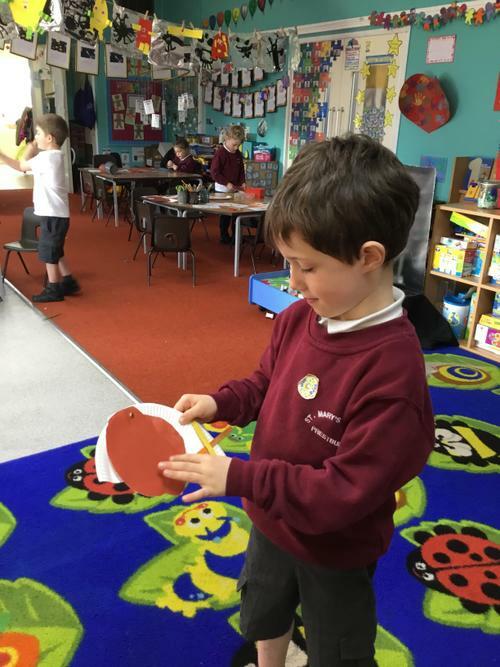 Easter eggs are given to symbolise new life which led us to think about new life in Spring. 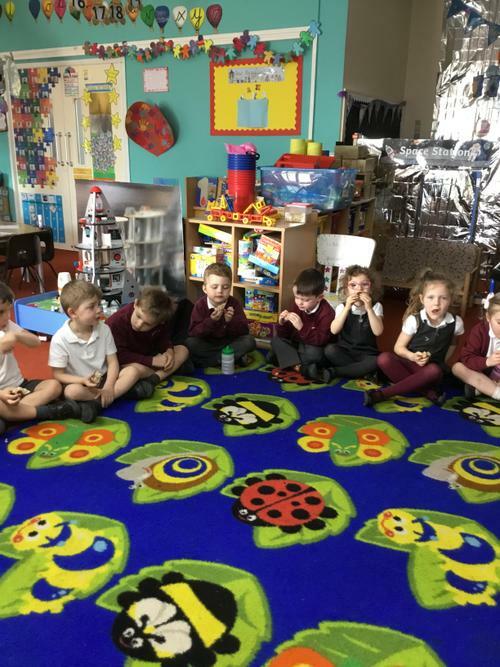 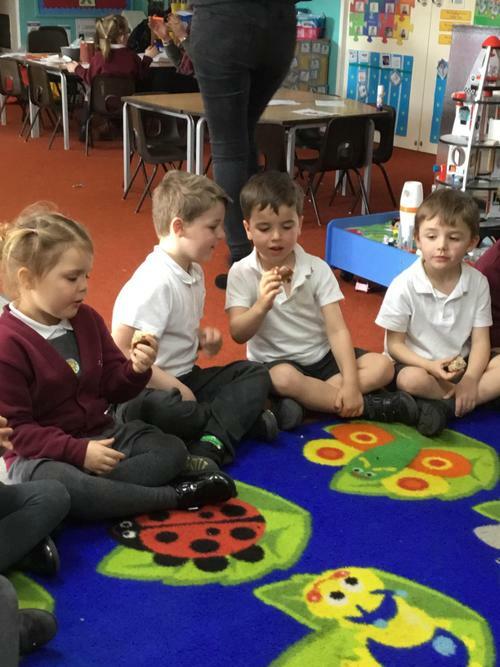 We engaged in lots of activities linked to Easter and at the end of the afternoon I shared hot cross buns with the class. 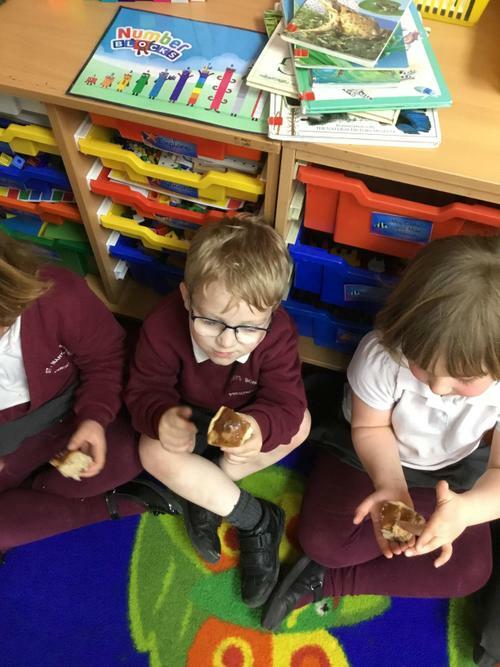 We discussed how a hot cross bun links explicitly to the resurrection of Jesus; dough rises like how Jesus rose, currants for the wounds Jesus sustained, smells of spices linked to the spices and perfume put on Jesus' body, a cross because Jesus died on the cross and a white napkin as Jesus was wrapped in white cloths in the tomb. 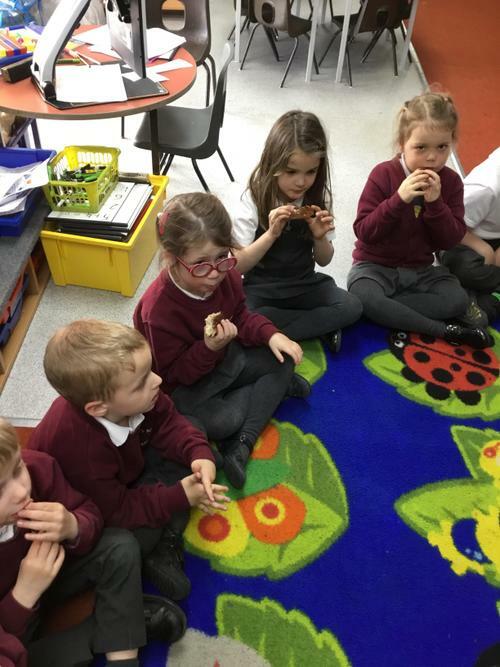 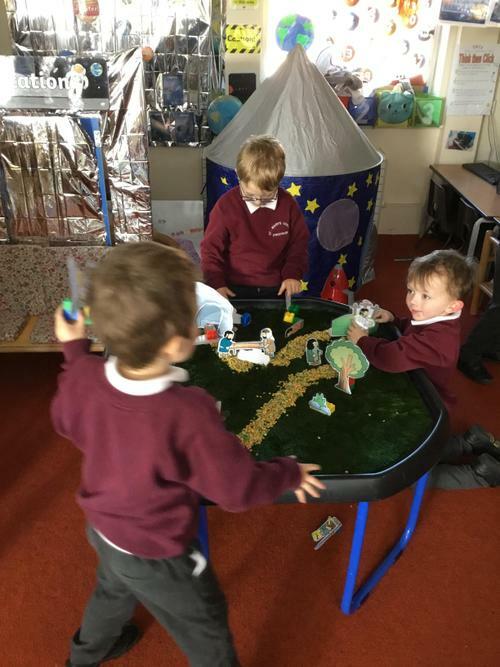 I was impressed with how many children loved the taste!